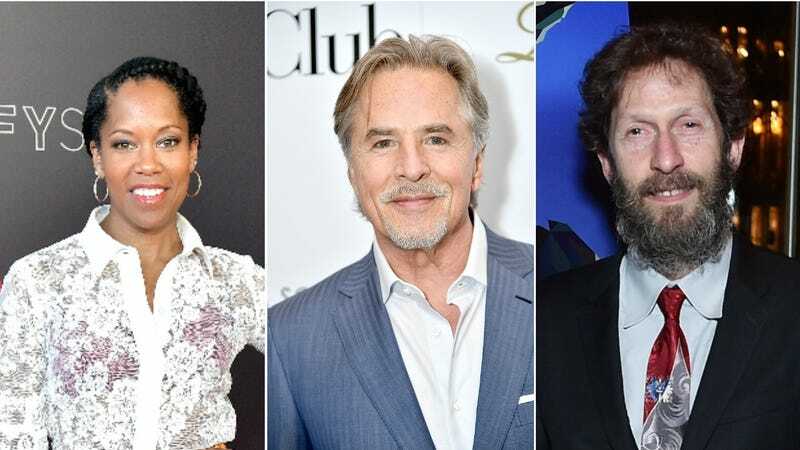 According to Variety, HBO has chosen some surprising names for its Watchmen pilot, specifically Regina King, Don Johnson, Tim Blake Nelson, Louis Gossett Jr., Adelaide Clemens, and Andrew Howard. We don’t know who any of them will be playing, both because HBO is keeping details like that under wraps and because Damon Lindelof—who is developing the show—noted in his lengthy and passionate essay yesterday that his show will be a “remixed” version of the original comic and not a straight adaptation or sequel. That means we don’t even know if any of the original characters like The Comedian or Rorschach will appear, let alone if they’ll be played by Regina King and Don Johnson. Interestingly, a Deadline report theorizes that King will be playing someone named Angela Abar, that Howard will be someone named Red Scare, and that Clemens will be Pirate Jenny. None of those are characters from the original Watchmen comic, so it’s unclear where Deadline is coming up with them unless it knows things about this project that HBO doesn’t want it to know. Either way, these people will be in the Watchmen show, and though these character names might be accurate, it still doesn’t tell us about how this “remixed” version of the story will work. No matter what the show is about, Watchmen will be a reunion for King and Lindelof, as she recently appeared on his acclaimed HBO drama The Leftovers. Assuming this pilot goes to series, it will also be Johnson’s return to TV nearly 20 years after the end of Nash Bridges and Tim Blake Nelson’s third chance to appear in a comic book adaptation (following The Incredible Hulk and Fantastic Four).